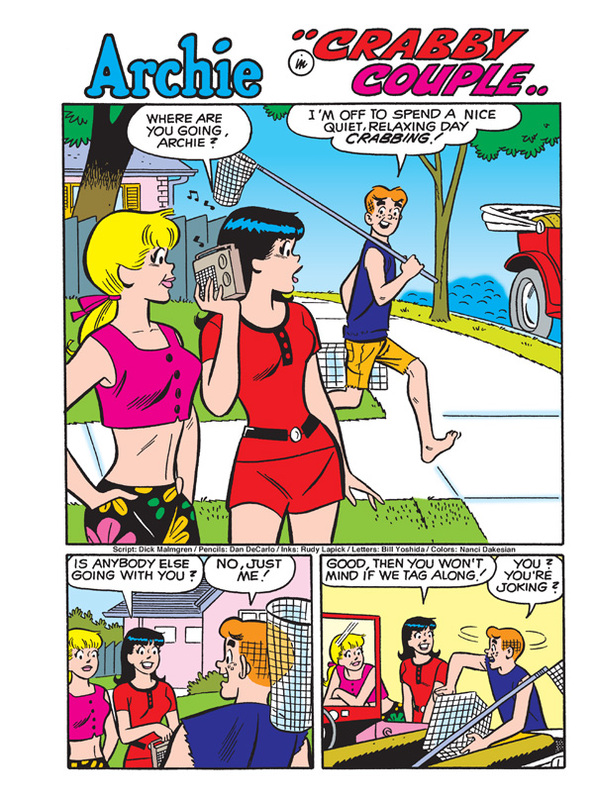 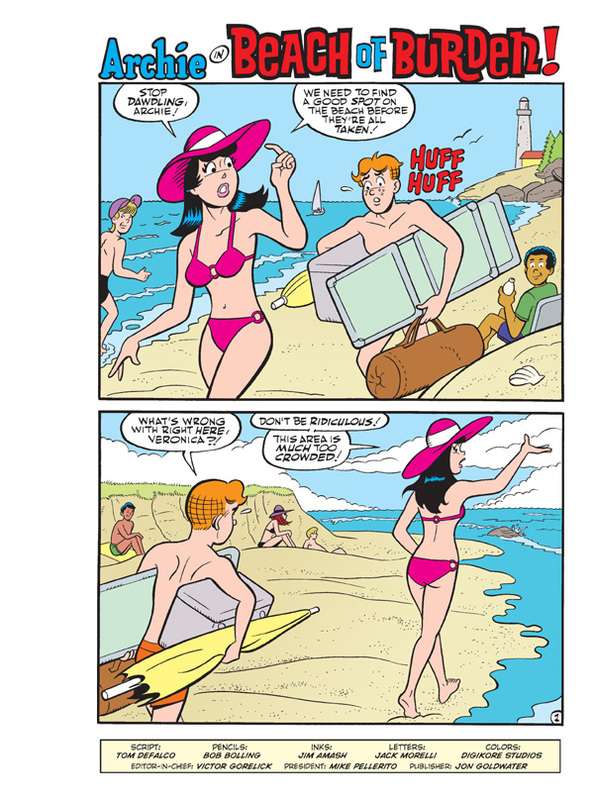 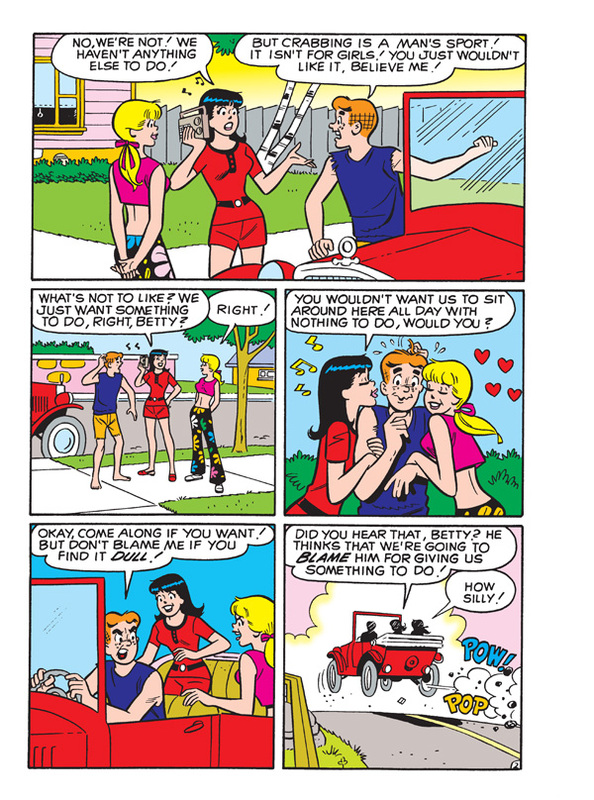 Summer time is here and Archie and Veronica are ready to hit the hot sands of Riverdale Beach! 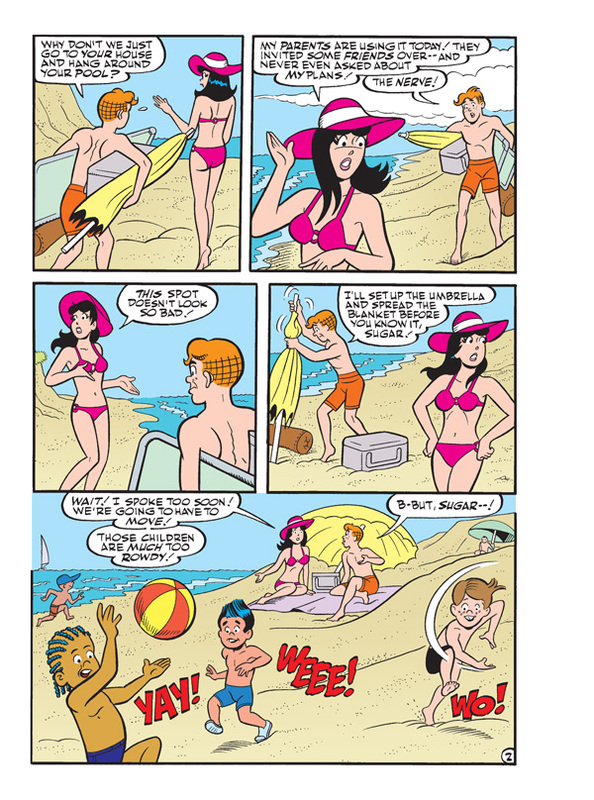 Archie’s looking forward to a relaxing day laying out in the sun, but when Veronica gets too picky about where to set up shop on the beach, Archie’s day of rest turns into a “Beach of Burden”! 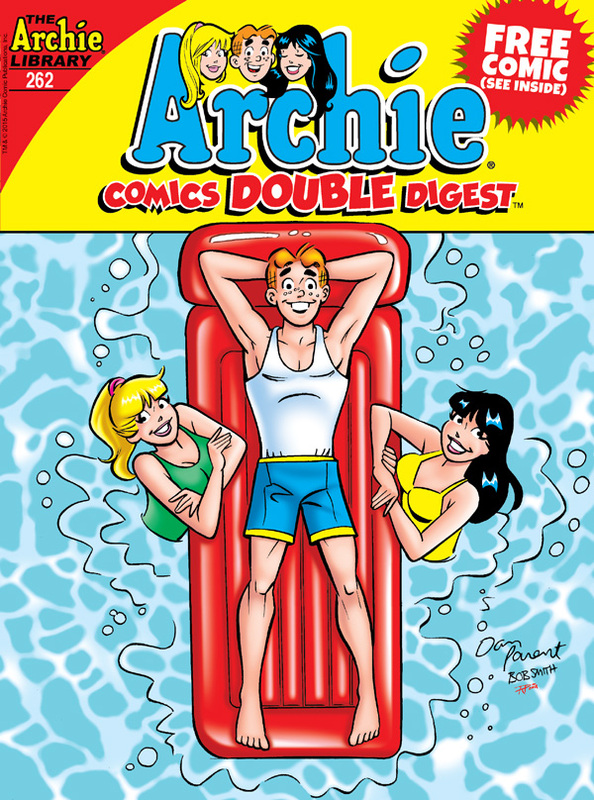 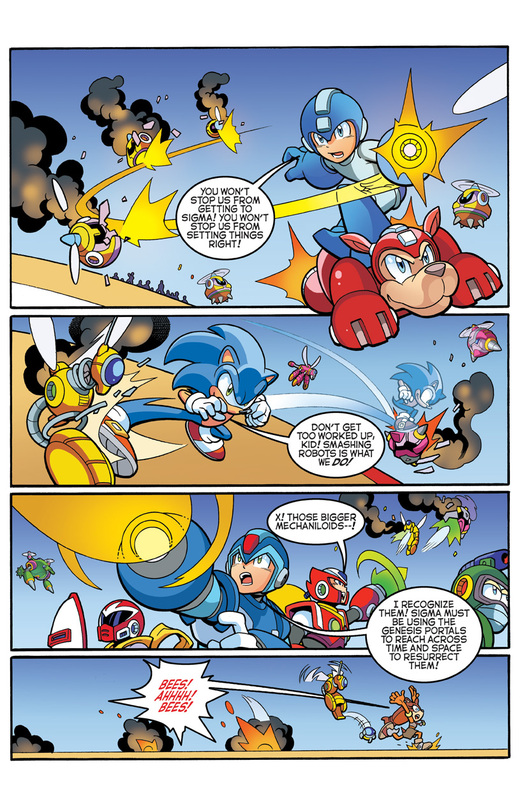 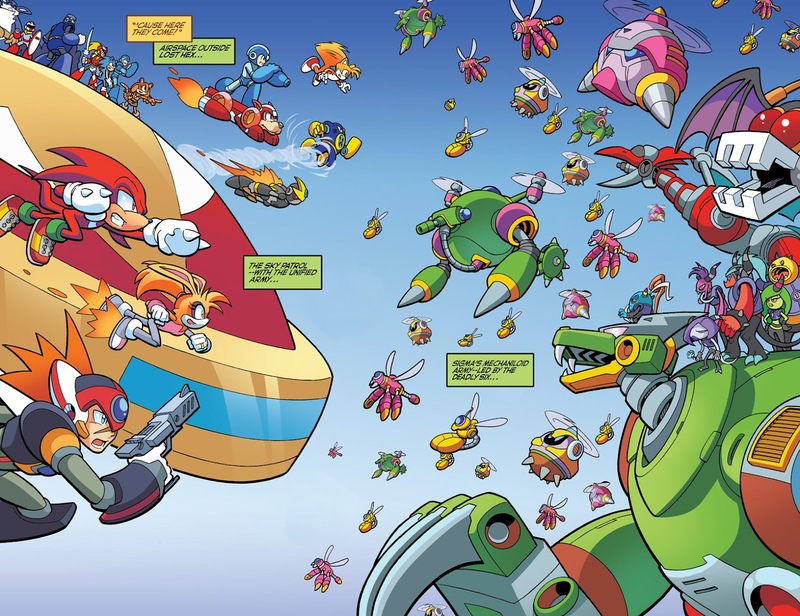 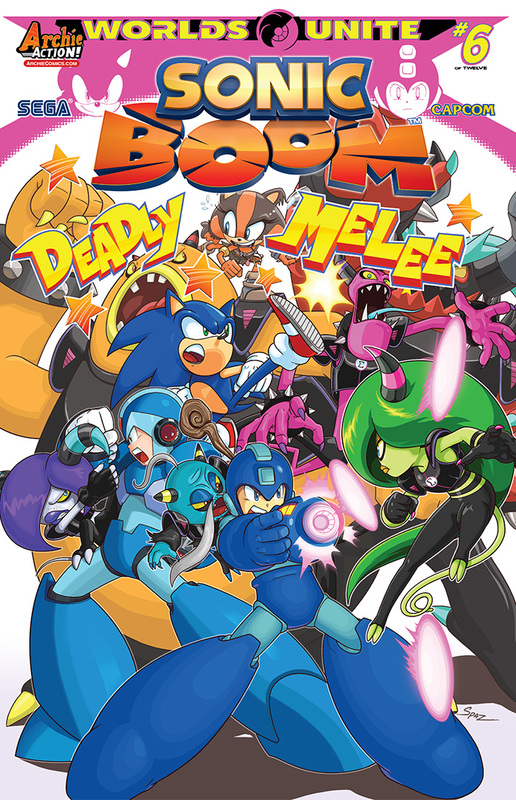 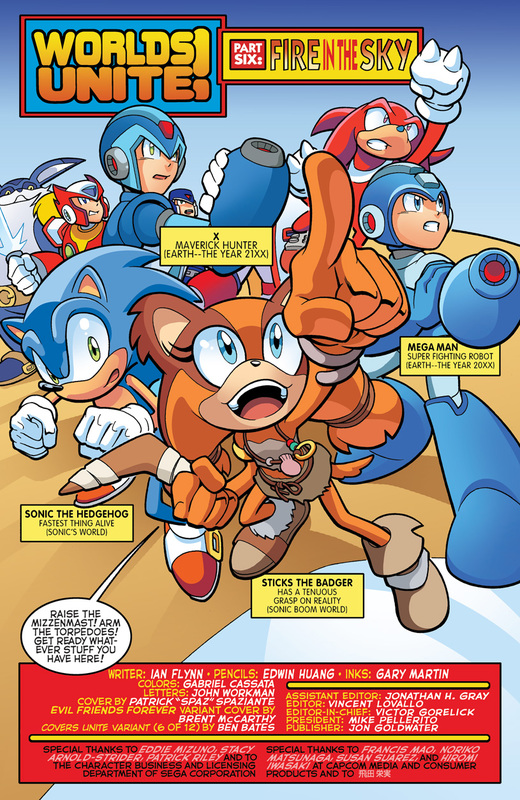 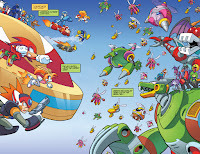 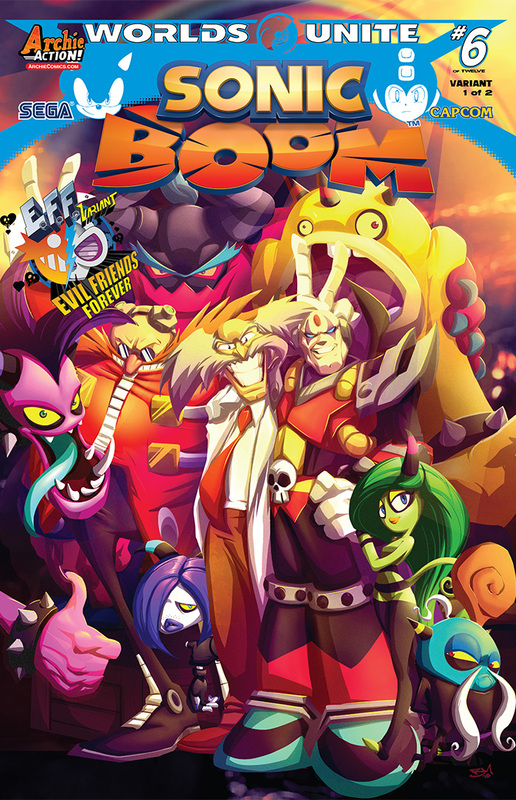 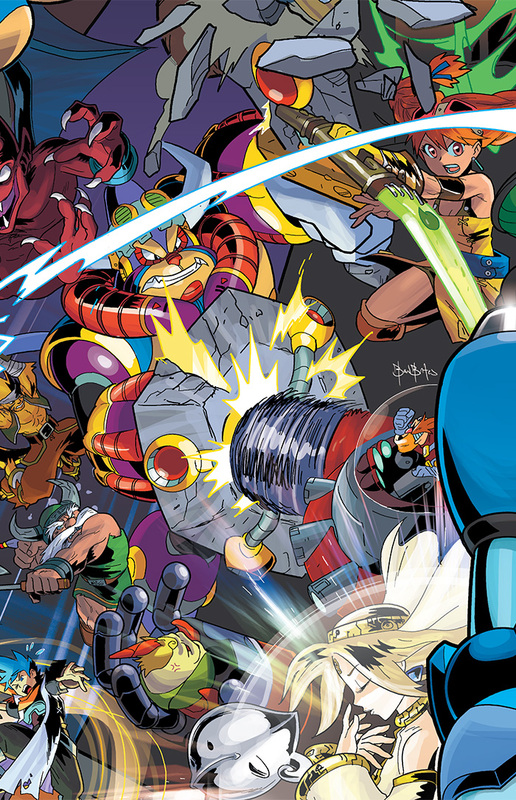 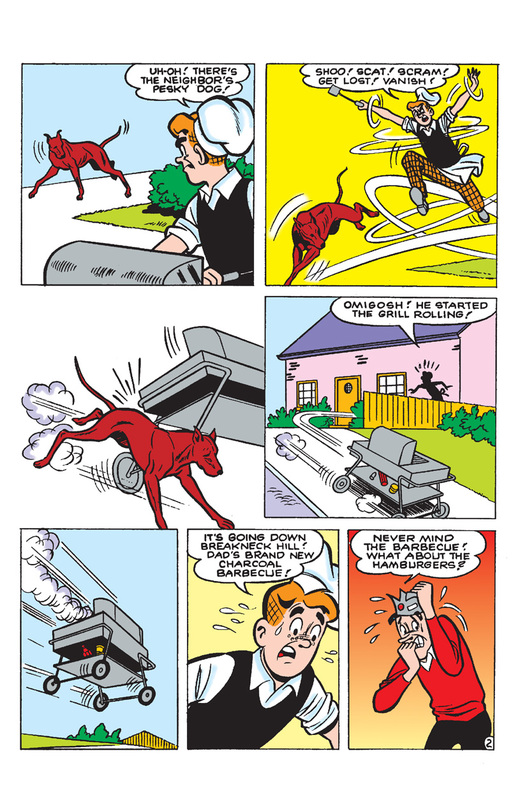 Enjoy this brand new summer-fun lead story to this comics double digest! 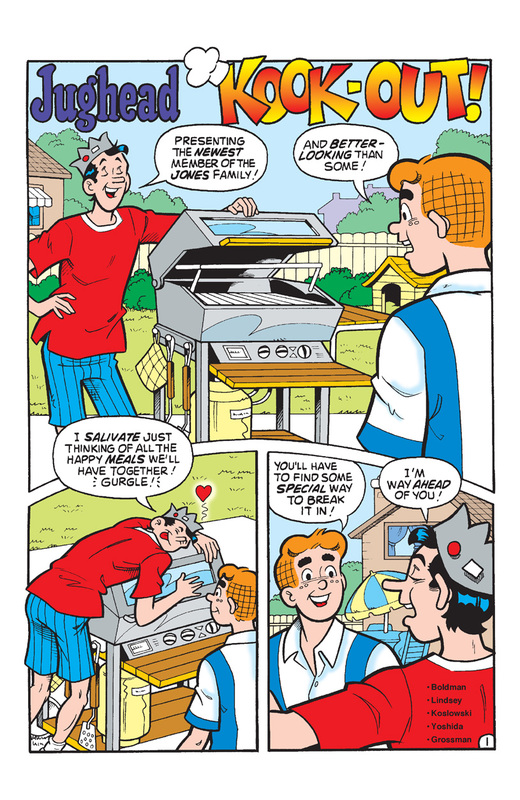 You can’t kiss THIS cook—he won’t let you! 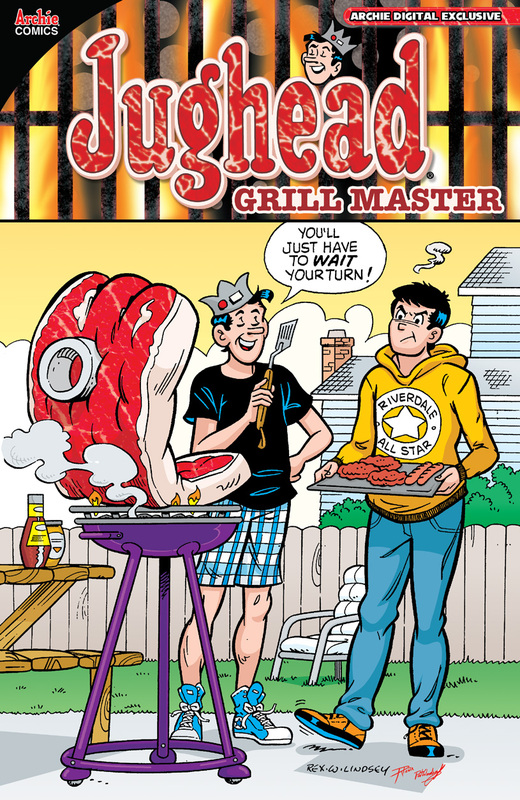 Jughead’s manning the grill in this digital-only collection of stories. 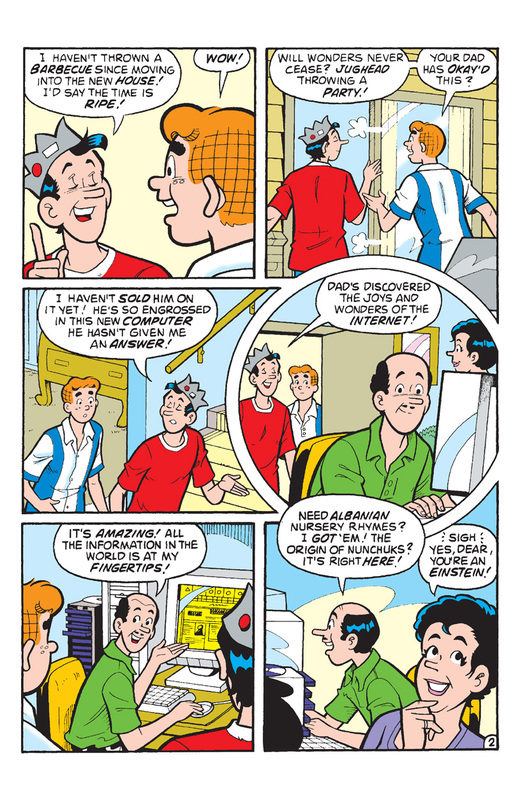 Ol’ Needlenose has a bunch of recipes he’d like to try! 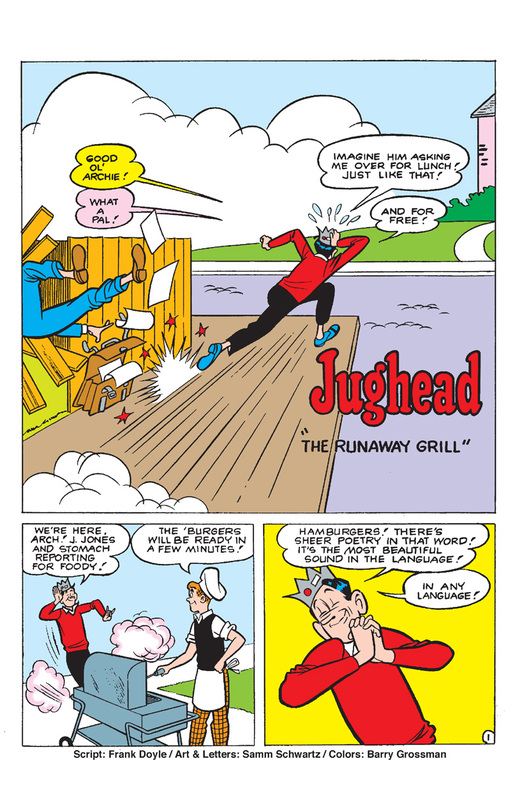 Get to the table quick, though, or he’ll eat it all first!